With flexible offerings provided through distance education at Black River Technical College, there is no longer an excuse to delay college due to an unpredictable or busy schedule! Looking to transfer to a four-year college? We offer a 100% online A.A. in General Studies! We also offer many programs where at least half of the required courses are available online or hybrid. 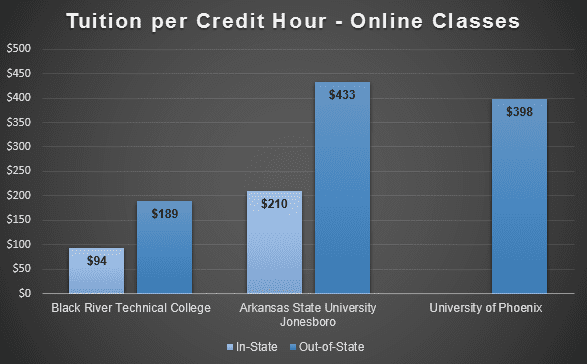 All of our programs are accredited by the Higher Learning Commission and are approved by the Arkansas Department of Higher Education and the State Board of Vocational Education. Take a look at our full course and program list on the Courses and Programs page.